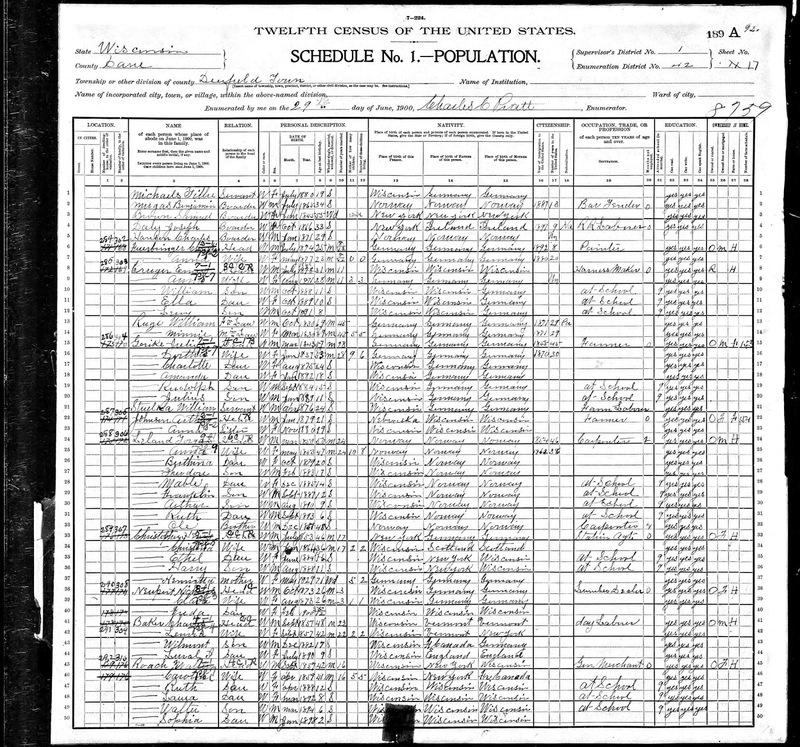 1900 United States Federal Census, Dane County, Wisconsin, Population Schedule, Deerfield Township, Enumeration District 42, Page 17A (stamped), Dwelling #288, Family #306, Torger Leland household, digital image, Ancestry.com (http://www.ancestry.com); citing National Archives Microfilm Publication T623, Roll 1782. 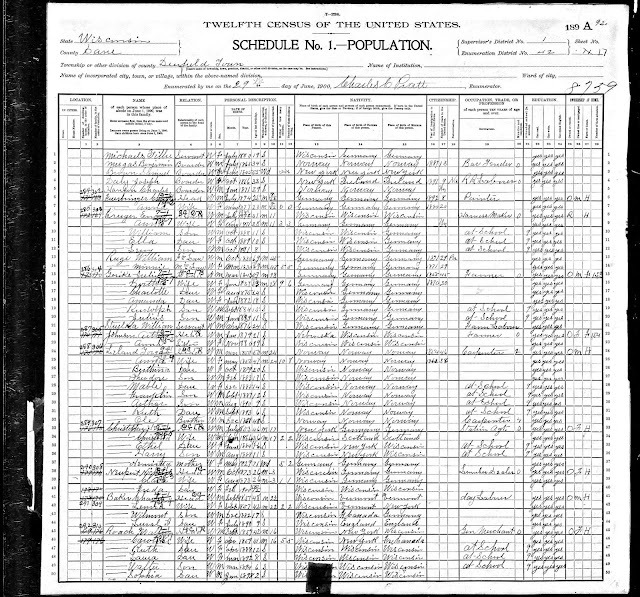 The Torger Leland family resided in Deerfield in the 1900 U.S. census, and six of their 8 living children were residing with their parents. The first two sons, Edwin and Severt, were out on their own at this point in time, although they did not marry until 1904. All of the birth month and year information, and the birthplace information, are correct. Torger and Anna (Natvig) Leland were my wife Linda's great-grandparents. She is descended through their son Severt Oliver Leland (1878-1940), who married Amelia Anna Brocke (1884-1975) in 1904.